Victory! 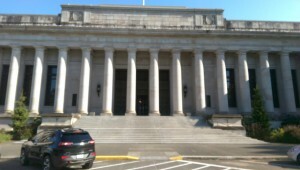 Yesterday, the Washington Supreme Court handed down its opinion in State v. Hardtke, a case that Brandli Law argued. Mr. Hardtke was charged almost $4000 to wear a special alcohol-monitoring ankle bracelet that the court required him to wear. He wore this bracelet at a time when he was awaiting trial, and so not convicted of the crimes with which he was charged and presumed innocent. He had agreed to wear the bracelet but not to pay the cost of it. The Supreme Court decided yesterday that the legislature has not authorized courts to charge defendants for these bracelets worn before trial. This case will have a significant impact around the State since many courts now routinely order that defendants wear these bracelets if they want to be released before trial. I suspect this is the first of several cases that appellate courts will hear about these bracelets and similar technology. You can read the opinion here. It is in PDF (Adobe Acrobat) format.